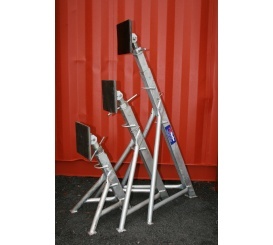 Our strong Hot Dip Galvanised Boat Stands are offered in three sizes to suit most types of vessel. 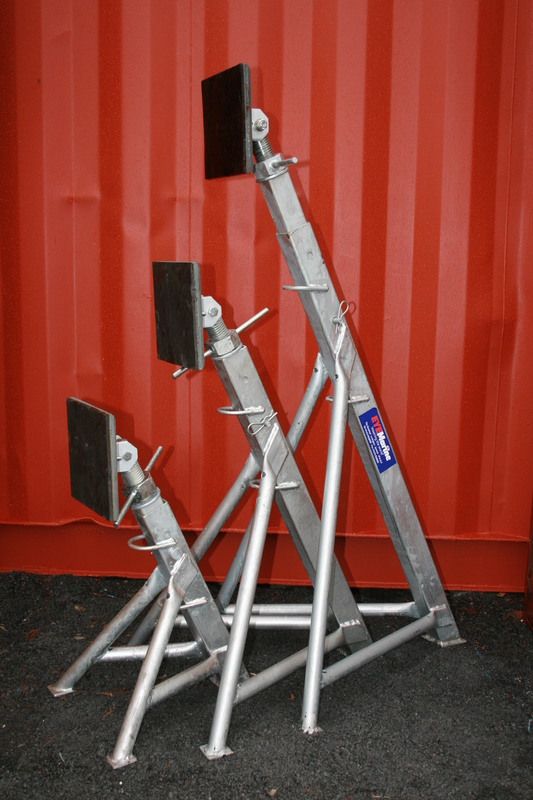 They are used in many boatyards in the UK and Mainland Europe. The rubber bearer pad is hull friendly and adjustment is almost infinite. Optional extras include chain or ratchet strap security assemblies and HDG soft ground bearer pads. Spare parts are always available. 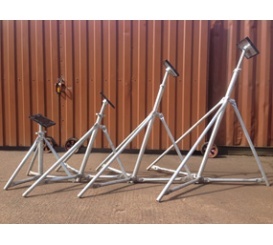 Popularity of these stands continues grow, with now more than 3500 sold.